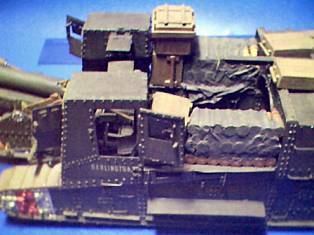 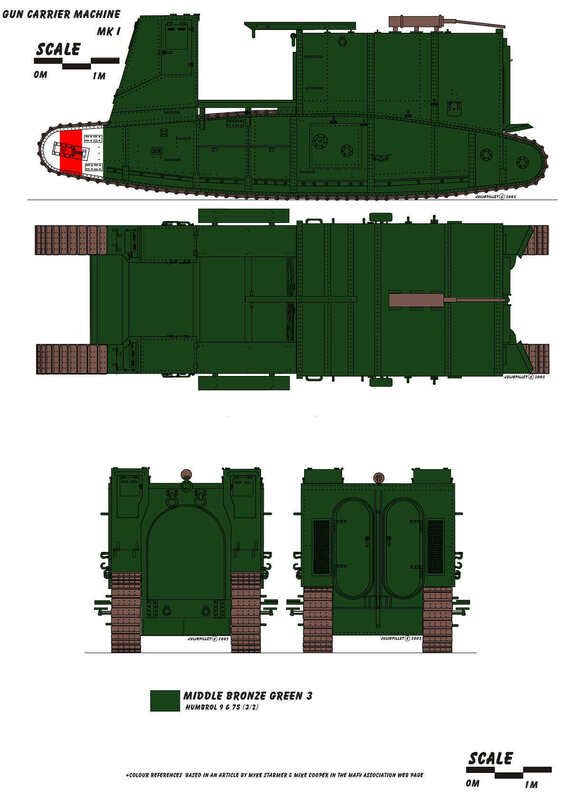 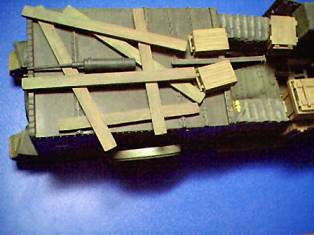 Gun Carrier Mark I was designed using components of the Mark I tank. 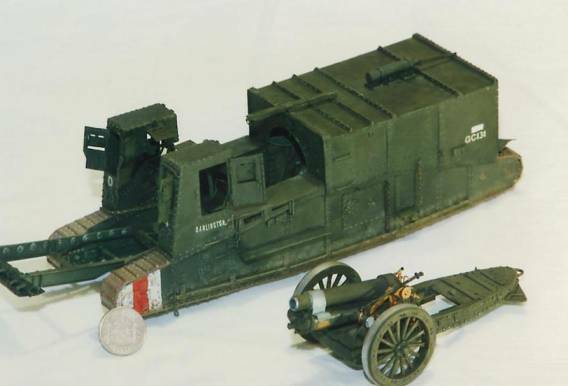 The prototype was built by Metropolitan Carriage, Wagon and Finance Company of Birmingham and demonstrated in March 1917. 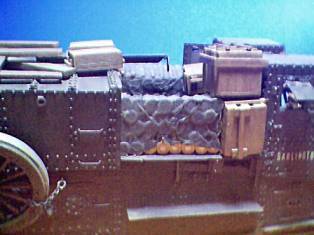 A total of 48 were built. 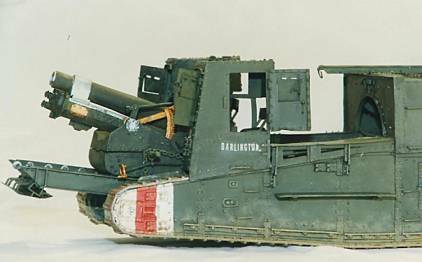 They were designed to carry either the 6 inch BL howitzer, or 60 pounder BL Mark I. 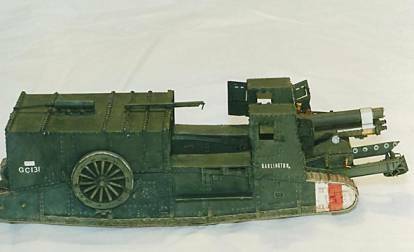 The gun could either be dismounted for firing or, in the case of the howitzer, deployed in situ. 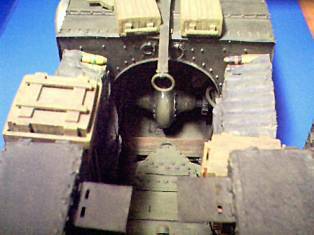 The vehicle was not used as much as perhaps it deserved, and tended to be used more as a cargo carrier than as a gun carrier. 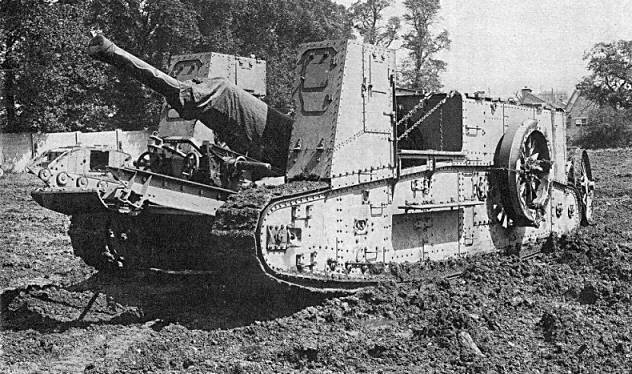 Two of these vehicles were fitted with cranes and used for salvage work. 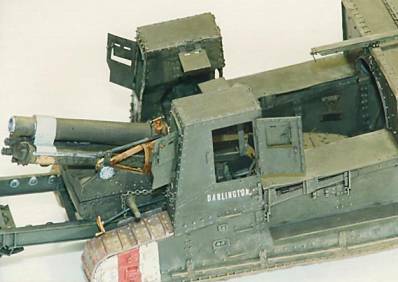 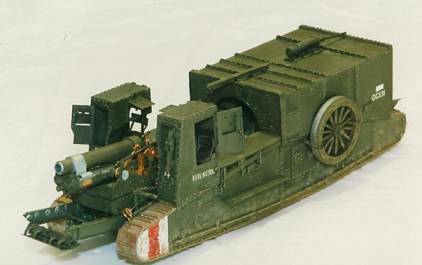 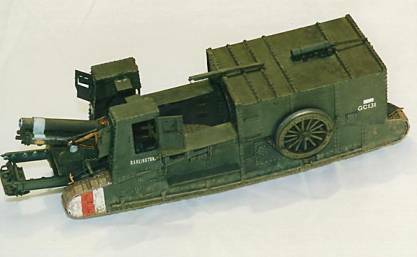 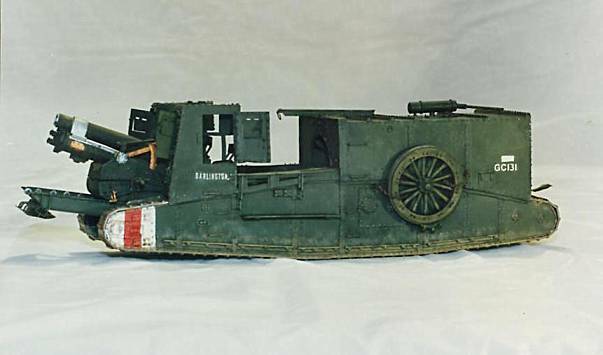 I am most grateful to Julio Pillet from Spain, who wrote to me with details of his magnificent model of this vehicle, and the following pictures are of this 1/35 scale model. 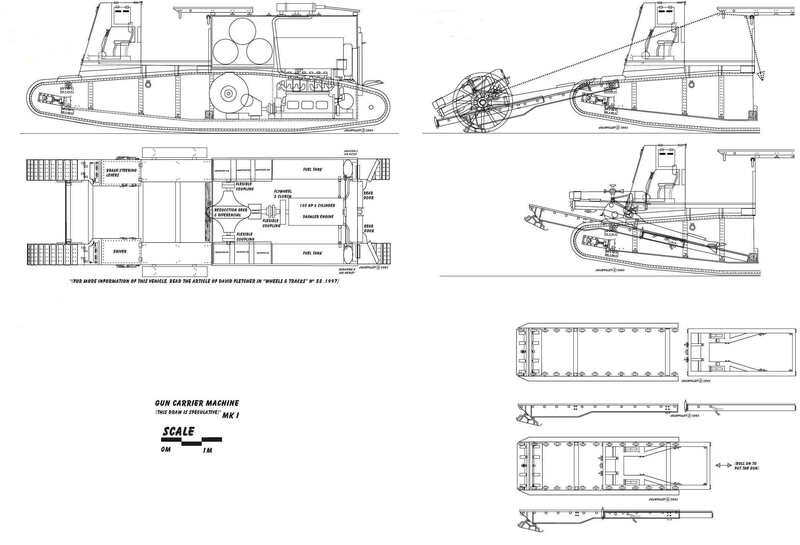 You will also find links to PDF files of his drawings, which he has very kindly given permission for me to use in the Arcane Fighting Vehicles pages. 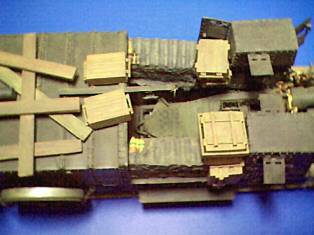 See also Building the Model where Julio shows how it was built.